Drawing network diagrams with Gliffy is easy regardless of which type of network topology you’re working with. 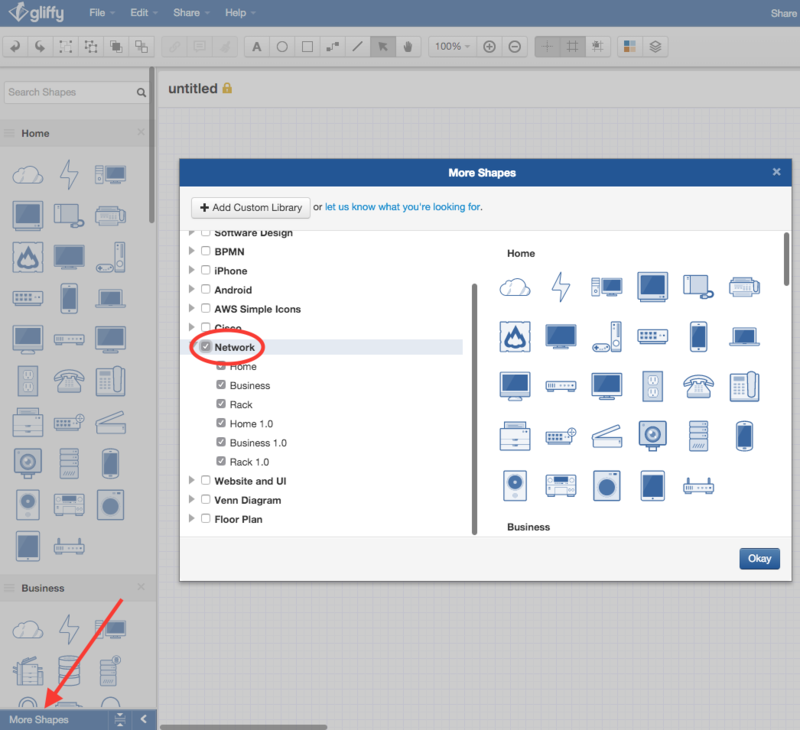 Take the intuitive Gliffy interface for a quick test drive and soon you’ll be diagramming like a pro. In this example, we’ll plot out a basic network diagram, but these techniques will apply to all network diagram types regardless of complexity. If they’re not already there, add network shapes to your Gliffy Shape Library by clicking ‘More Shapes’ at the bottom of the Shape Library and selecting ‘Network’. Click this image to use it as a template! To make the diagram instantly readable, group similar symbols together by color. Double click on the shape and open the Edit Shape Properties icon. Here you'll be able to change color, height, width and font type and size. Drag the symbols to arrange them and connect them using the connector tool in the toolbar. If you'd like to make a change that applies to the entire canvas you can select it using Command-A. That will change Edit Shape Properties into Edit Group Properties so you can adjust settings for multiple icons at once. You can for example, change the font family for all the labels to Roboto Condensed and make all the text bold. And that’s how easy it is to design a network using Gliffy. Your network diagram is now ready to share, publish, or export.